The more I learn about electric cars, the more I understand that subtle changes in technology are having many previously unforeseen side effects. As we are all beginning to accept, electric cars are just cars that don’t use liquid fuels, they can still cause traffic snarl ups, accidents and parking problems. But one or two aspects are emerging that make them a very different proposition. Although electric car sales world wide are now being counted in the 100’s of thousands, they still make up for a tiny proportion, even with current rates of increased sales they still barely reach 5% of cars on the road by 2020. What will happen in that time though is a massive leap in battery technology, you don’t have to be a hedge fund manager or rampant free market capitalist to see the writing on the wall. There’s big money in batteries. Of course there’s far bigger money in oil and gas, the really big tax breaks and corporations who manipulate them are busy enough. But even they are becoming aware of new battery technology emerging all around the world. Batteries are getting smaller, lighter, more energy dense, longer lasting and above all, cheaper. These increases are constant and low level at present. Battery energy density is, according to companies like Panasonic, Samsung and Tesla increasing by roughly 8% a year. No great shakes but in the 5 years I’ve been keeping an eye on this sector, energy density has increased by roughly 40%. But if they still cost a fortune, so what? Well, they are also getting cheaper, the cost per kWh of storage a few years ago was around $500 per kWh. It’s now around $400. I know nothing about predictions but there are companies emerging who are claiming $180 per kWh by 2020. I’ll put that into context for myself because these figures seem so arbitrary, but the Nissan Leaf, BMW i3 and e-Golf all have batteries with around 24 kWh capacity. At $180 per kWh, you’re looking at a $3,000 battery pack. However when I talk about batteries I’m not even thinking about them in relation to cars, I’m thinking about our houses, about the grid, about cities, dammit, I’m thinking of the whole country. The effect that millions of widely distributed batteries would have on the way we generate and distribute power is immense. Imagine a 100 kWh battery pack built into your house, you have solar panels on the roof which trickle charge them day after day. Before I explain the difference this could make, let’s look at the cost. Your battery pack is made from ‘depleted’ car batteries and the cost is a great deal lower than buying new ones. It’s not impossible to imagine something the size of a small fridge that could store 100 kWh with no maintenance and 10-15 years of trouble free use. So you get home after work, lights on, computer on, washing on, cooker on, telly on, water heater on. 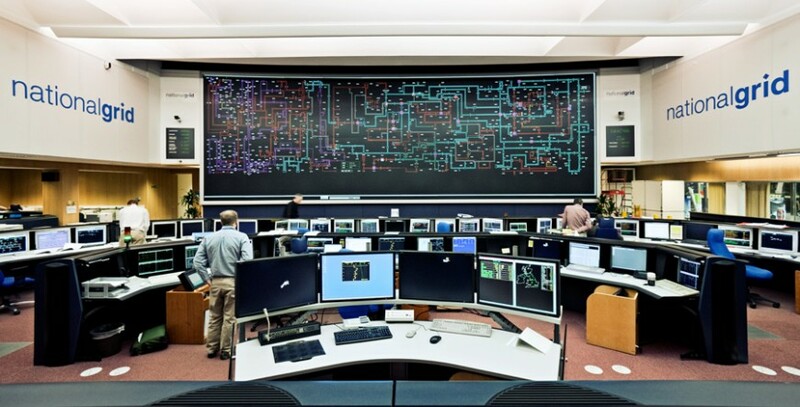 Currently at the National Grid control room they see a huge spike in demand, a huge expensive spike, everything that can generate is generating flat out. If, say, 5 million homes had battery storage, that spike would drop dramatically, the grid could call on all that stored power to supplement the grid. Now go bigger, much bigger. Industrial scale grid batteries, not storing 100 kWh or even 10,000, but multiple gigawatts. They are charged over a long period of time by wind and solar and hopefully tidal turbines. The excess power generated at night when we don’t use it is suddenly valuable, we don’t waste it, we store it. Certainly today this kind of technology doesn’t exist outside a lab, but numerous projects all over the world are being tested. Some of them will work, and when they do and we start using them, the energy picture is going to change in ways we can’t imagine. Just one important caveat, modern batteries last a really long time, they can be charged 10,000 times. If you charge and deplete them every day, that means they last about 30 years. And when they’re no good any more, do we just throw them away? Of course not, we use a lot of stored power to recycle 96% of the materials in them and make new ones.